Through the Regional Funds for Breakthrough Schools initiative, CityBridge Education leads Breakthrough Schools: D.C., a Washington, D.C.-based school design challenge that mobilizes teams of educators to redesign their schools for personalized and deeper learning. 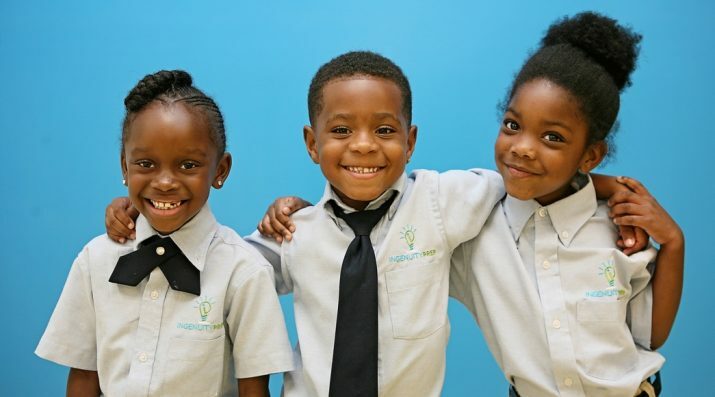 Managed by CityBridge Education, Breakthrough Schools: D.C. began in 2013 as one of the regional challenges modeled after the highly successful NGLC national competition, which has awarded grants to innovative schools around the country. It was selected through a competitive process to join the Regional Funds for Breakthrough Schools. CityBridge Education believes that the continuation of this regional competition has the power to accelerate student achievement in Washington, D.C. through a systemic shift to new, personalized, mastery-based learning models. With 13 school design teams, representing 16 new or redesigned schools, awarded grants in its third round of funding in December 2016, Breakthrough Schools: D.C. is committed to incubating 25 transformational schools over the next five years. Round 1, April 2014: Six schools were awarded planning grants. Round 2, December 2014: Seven schools were awarded planning grants. Round 3, December 2016: 16 schools were awarded planning grants. Breakthrough Schools: D.C. on the CityBridge Education website. Washington Post article on Breakthrough Schools: D.C. grant recipients. Podcast: Listen to Margaret Angell and Scott Cartland discuss personalized learning in Washinton, D.C. Produced by the Michael & Susan Dell Foundation. Resources for Breakthrough Schools: D.C.